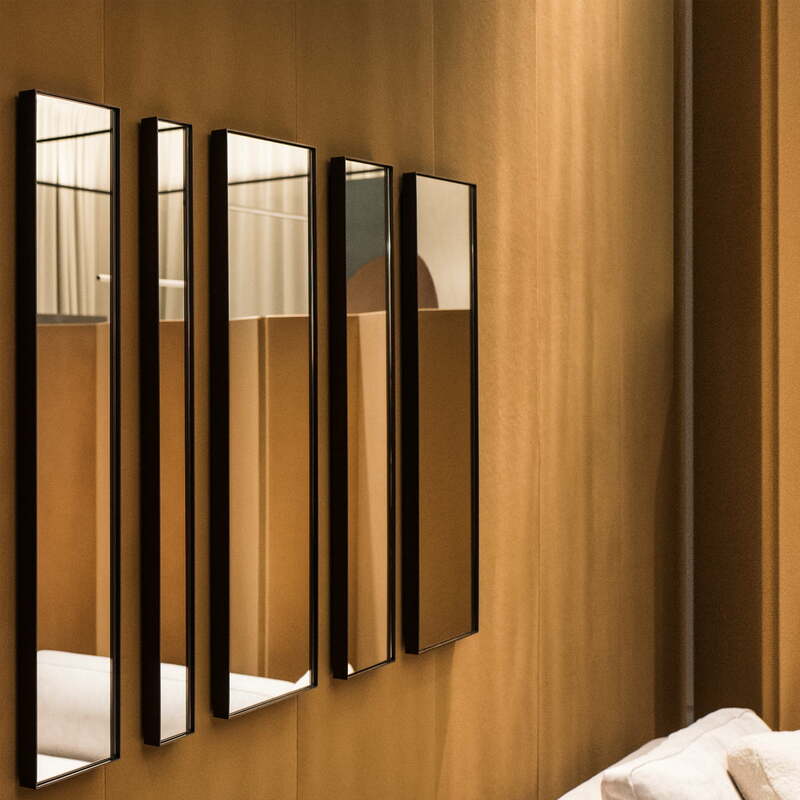 The Amore wall mirror by &Tradition is a design by Space Copenhagen for the SAS Royal Hotel in Copenhagen. The SAS Royal Hotel is considered a masterpiece by Arne Jacobsen. Completed in 1960, it was the tallest skyscraper in Copenhagen at the time and for many the epitome of modernity. The elongated, rectangular mirror emulates the exterior of the building with the horizontal arrangement of the windows and brings a piece of modernity into your own four walls. 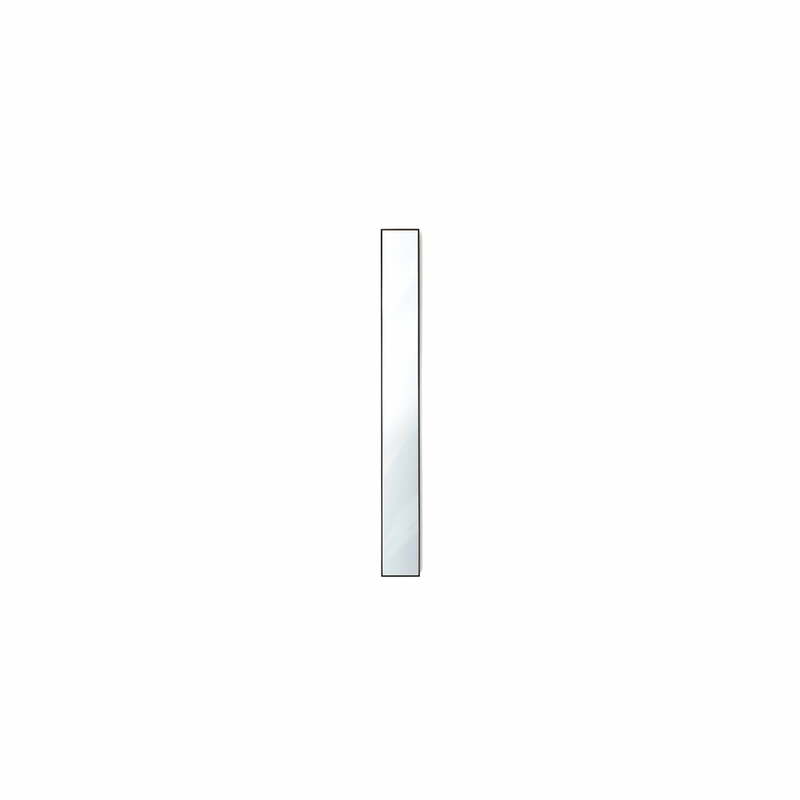 The mirror features a brazed brass frame and an adjustable wall mount. It does not necessarily need to be hung up on the wall and can casually be lent against it instead. 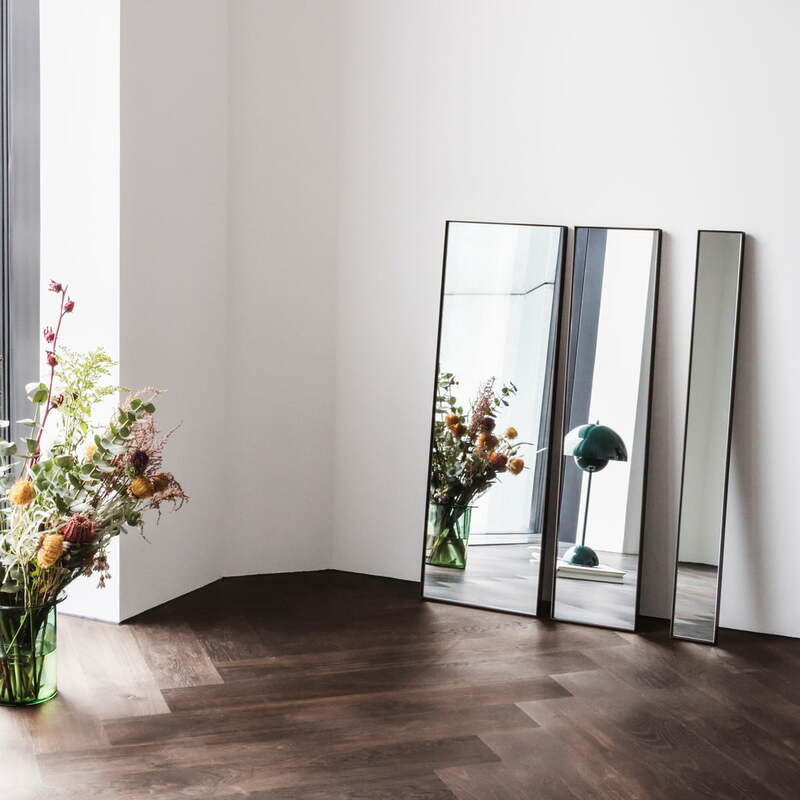 The name “Amore” given by Signe and Peter from Space Copenhangen appeals to our vainer side and encourages people to love what we see in the mirror, namely ourselves. Amore Wall Mirror 90 x 10 cm by &Tradition: The Amore wall mirror by &Tradition is a design by Space Copenhagen for the SAS Royal Hotel in Copenhagen. 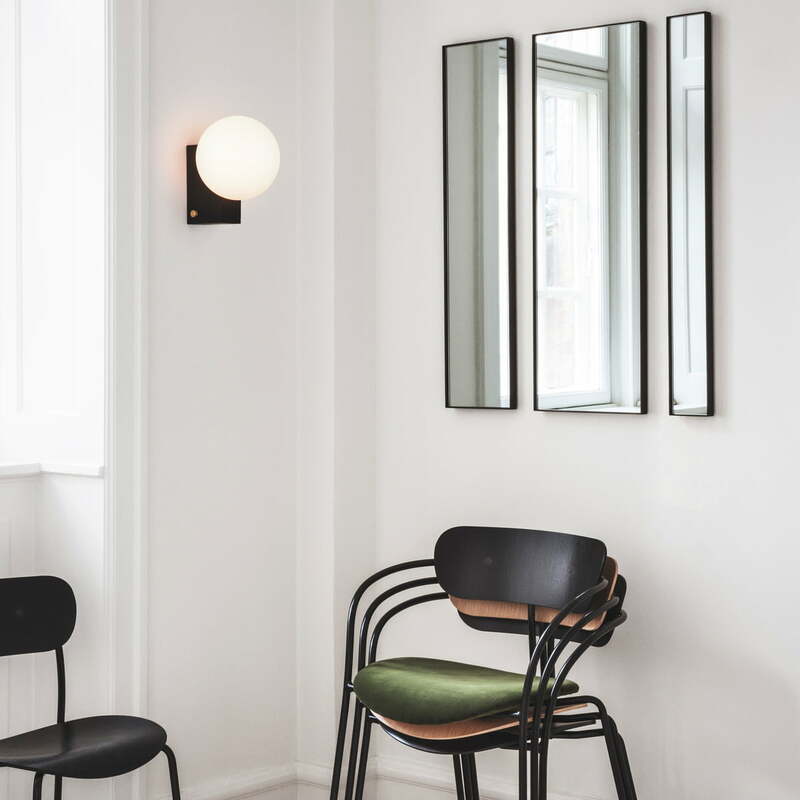 Amore Wall Mirror, 190 x 30 cm by &Tradition: The Amore wall mirror 190 x 30 cm by &Tradition is a design by Space Copenhagen for the SAS Royal Hotel in Copenhagen. 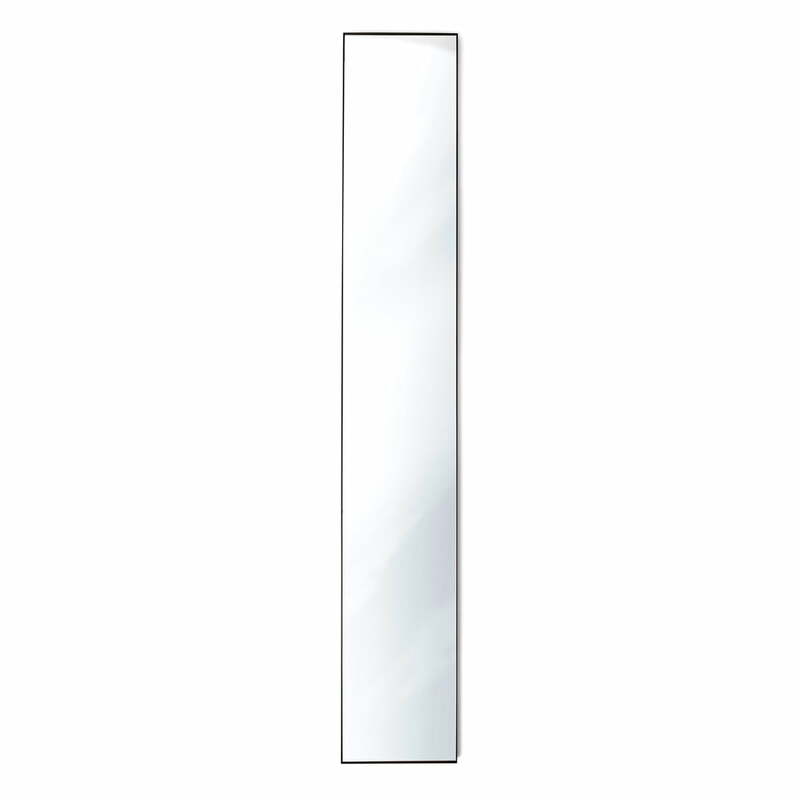 Lifestyle product image of the Amore wall mirror by &Tradition. The Amore wall mirror can be excellently arranged in a group over the bed or the sofa. The Amore wall mirror in its various shapes by &Tradition does not necessarily have to be hung up on the wall and can simply be casually leant against it. 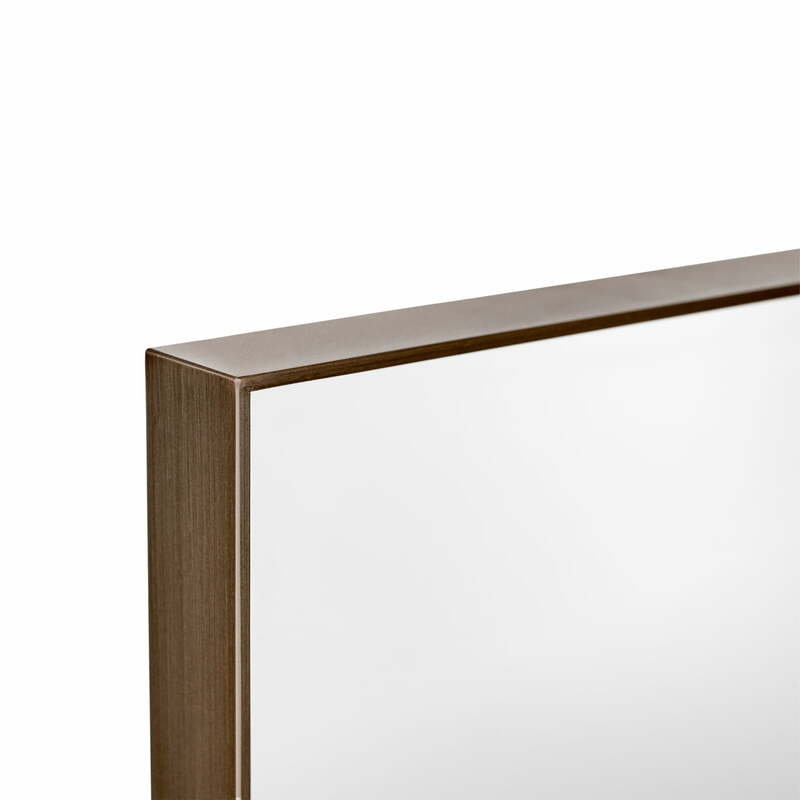 Detail product image of the Amore wall mirror by &Tradition. The mirror glass is held in place by a brazed brass frame and features an adjustable wall mount. 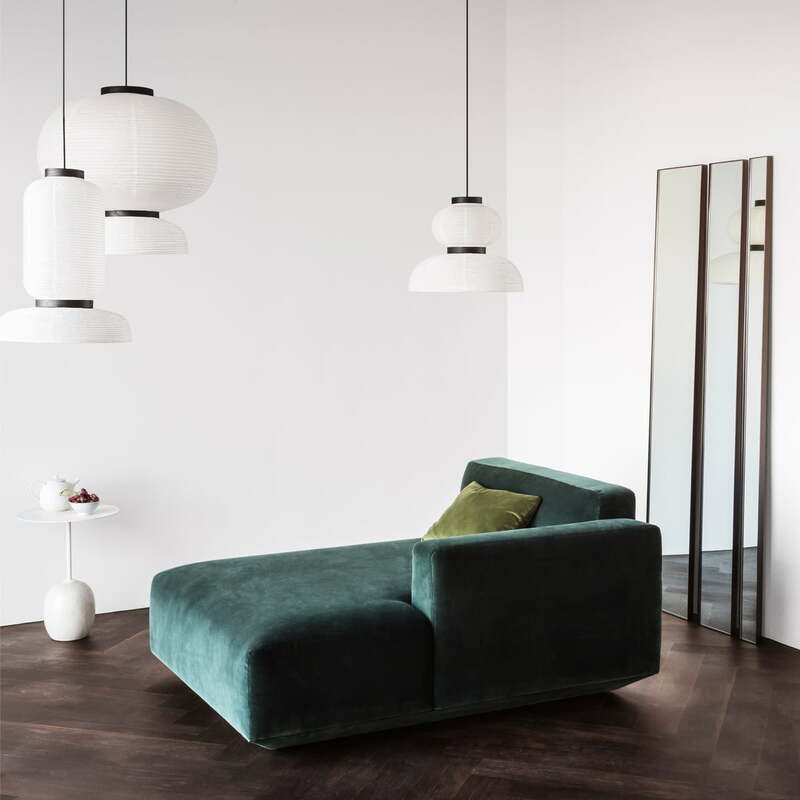 Lifestyle product image of the Amore wall mirrors, Journey table and wall lamp as well as the stackable Paviliion armchairs and Pavilion chairs by &Tradition.